February already and I’m only just getting round to my first post of the new year. Too late to join in GeniAUS’s Accentuate the Positive geneameme?? I hope not! Last year Jill came up with this great way to celebrate the genealogical highs of the previous twelve months, rather than dwell on any lows. An elusive ancestor I found was a likely candidate for my 3 x great grandmother. Her son Henry John Forrest Florey had a different mother’s name on each of three vital records: “Henrietta Florey (formerly Byford)” on his birth registration in 1862, “Elizabeth Ann Florey” on his 1863 baptism record, and “Henrietta White” on his marriage record in 1885. My ancestors seem adept at the ol’ smoke and mirrors game, but I think I have finally discovered who Henry’s real mother probably is. An ancestor’s grave I found was that of my 3 x great grandfather Thomas Gaffney. To be exact, I think we have found the record of his burial and the plot location. To find his actual grave will require a spike, a spade, and a large amount of elbow grease. Unless, of course, it was one of the graves that was washed away in Manchester’s great flood of 1872. An important vital record I found was my 3 x great uncle John Burke’s baptism record. This broke down a huge brick wall and has helped pinpoint the area in Co Mayo from where my Burke family emigrated in the 1850s. It was wonderful to share the discovery with a Burke cousin, who was just as excited as I was! My 2013 blog post that I was particularly proud of was the one commemorating the gallantry of my (first, three times removed) cousin, Peter Gaffaney, mostly because of the research involved. My 2013 blog post that received a large number of hits or comments was my Revisiting the Brosnahans post, marking my two year blogiversary. A social media tool I enjoyed using for genealogy was Google’s Hangout on Air. I haven’t quite figured it all out yet, but I managed to participate in one of Jill Ball’s GeniAUS hangouts in December and it was a lot of fun. My second attempt to join one last month didn’t work out so well, but I’ve since watched Mike Delagado’s immensely helpful video tutorial How to Join a Google+ Hangout for the First Time, so I am hopeful for the next time! A genealogy conference/seminar/webinar from which I learnt something new was all of them! I attended workshops at WDYTYA? 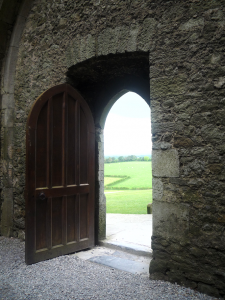 Live in February, an IHGS tutorial weekend in March, the Exodus conference in September, and best of all – Back to our Past in Dublin with my father in October. I also learnt a lot from Relative Roots‘ three Genetic Genealogy Demystified webinars. A genealogy book that taught me something new was Simon Fowler’s Tracing Your Army Ancestors. A great repository/archive/library I visited was the Aldershot Military Museum‘s archive (by appointment only), and also the Derbyshire Record Office in Matlock, both of which I hadn’t visited before. 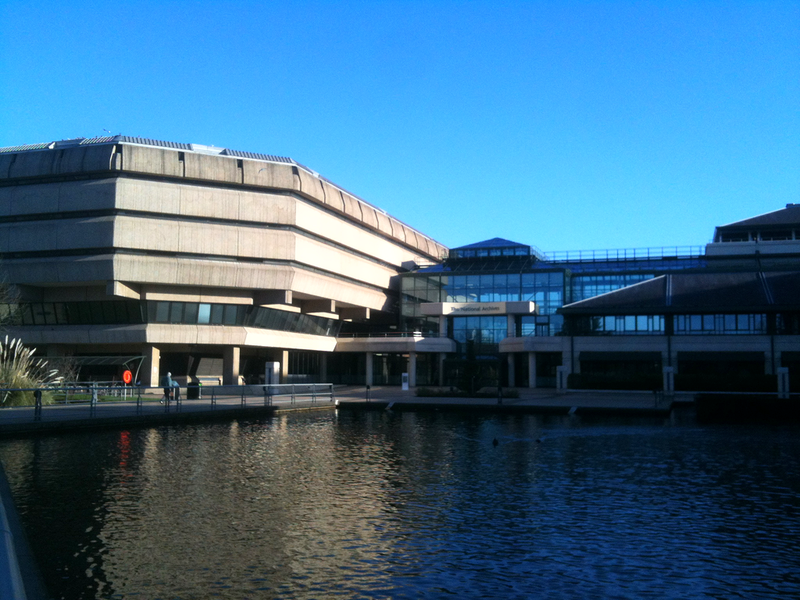 Even more exciting was my first trip to The National Archives at Kew, followed up by two more visits during the year. I made good use of the Society of Genealogists‘ library while attending several talks there, and checked out the new Kent History and Library Centre. 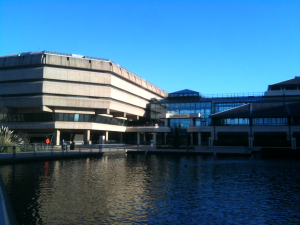 And not forgetting my quick visits to the Valuation Office and National Library of Ireland while in Dublin. 2013 was a great year for ‘out and about’ research! It was exciting to finally meet an O’Rourke cousin in Cork, a Burke cousin in London, and some Brosnahan cousins from New Zealand. A geneadventure I enjoyed was my trip to the Brosnan Clan Gathering held in Castleisland, Co Kerry, in July. I think this would have to be the genealogical highlight of my year, meeting the aforementioned Brosnahan cousins and enjoying the amazing hospitality of our Irish kinfolk. It was a truly magical journey back to our “homeland”. 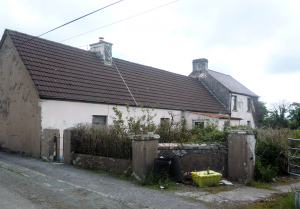 Another positive I would like to share is I got to see the O’Rourke family’s cottage in Ballymacdonnell, Co Kerry, where my 2x great grandfather Bartholomew was born, and the family’s grave plot where Bartholomew’s father, uncles and grandfather are all buried. Thanks again to Jill for the opportunity to share my year of family history research and learning. You can read about the 2013 highlights of other geneabloggers through her GeniAUS website. This is really great to see, as Bartholomew is also my 2x great grandfather. Great to read your blog. As a newcomer to genealogy, I was fascinated to read that you had a Martin Burke as your ancestor. I too, have a Gt Grandfather, Martin Burke/bourke, b c.1836/7 in Co Limerick and came to NZ with wife Sarah Keeling and five children in 1874. I would love to find a connection, but I believe his father was Patrick. Any ideas would be most welcome!